Lesson Study 2018-2019 – Registration now open! Registration is now open for this year’s Lesson-Study programme. If you’re interested in driving your own professional development by collaborating with fellow-maths teachers to design a structured-problem-solving lesson then don’t miss out and register today. 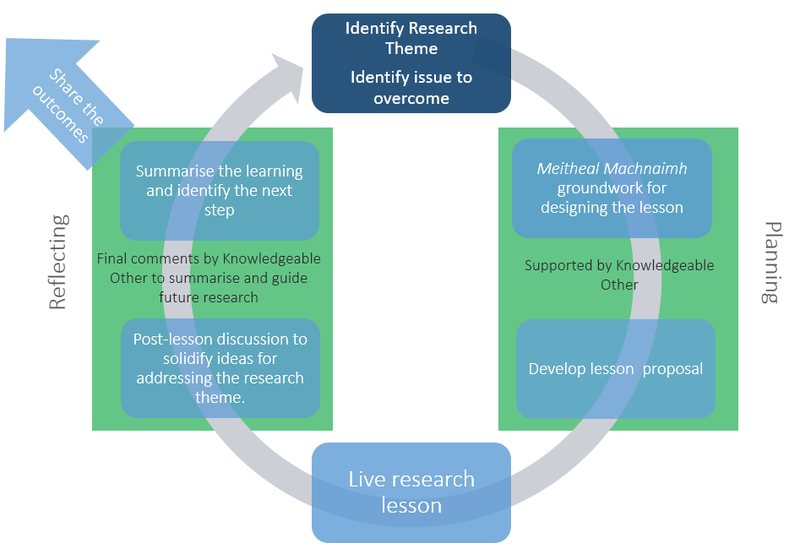 Lesson Study is a form of professional development based around teachers collaborating to design a research lesson. The Post-Primary Maths Team PDST are using Lesson Study to support teachers in adopting structured problem solving in their teaching of mathematics. Lesson Study is recognised internationally as being the most-effective form of professional development in changing classroom practices. Teaching through structured problem solving is widely acknowledged to develop students’ ability to think mathematically and to solve problems. If I get involved what will I have to do? A full Lesson-Study cycle involves five meetings outside of school time and one inside school time. In some schools, management allow teachers to utilise some of their Croke-Park hours for the meetings which happen outside of school time (this is a matter for discussion between teachers and their schools). Supervision and Substitution are provided for the meeting which occurs within school time. This meeting is to allow the lesson designed through Lesson Study to be taught to students and observed by the research group. The depth of this process provides some insight as to why Lesson Study is so effective in changing classroom practice. While teachers work on designing a single lesson, the deep discussion they have with their colleagues around teaching mathematics makes for incredibly rich professional development which focuses on classroom practice.